Find out which books teachers think are the best! Find the all books shortlisted for the 2015 Awards - and the shortlist from 2014 too. The three winners, for each age category, will be announced on July 10th at the UKLA International Conference in Nottingham. Longlisted for the 2015 CILIP Kate Greenaway Medal - Shortlisted for the Little Rebels Book Award 2015 Awarding-winning Chris Haughton tells a big story in stunning illustrations in his near-wordless picture book. The huntsmen are determined to capture the bird. Armed with nets they creep up on their prey…but they haven’t got every angle covered! How the littlest repeatedly sabotages the huntsmen’s plans is a wittily told story with a strong message about communication. Longlisted for the Kate Greenaway Medal 2014 Could it be that this little crocodile isn't a crocodile at all? He might just be a DRAGON! A funny, unique and uplifting story from a debut author-illustrator and perfect for giving a toddler confidence to get in the water. Brilliant fun in this alphabet book with a difference! Zebra is determined to get every letter of the alphabet matched to the right animal in the new A-Z he is creating. After all, it can’t be that hard, can it? All goes well except that moose is a little bit impatient! Barging in on E he scuffles with Elephant who wants none of him on his page and then tries to find himself a corner on H, I and J! Poor Moose! Luckily M is not far off now…Young readers will love the joke about the alphabet in this wonderful collection of illustrations which will make it forever memorable. Shortlisted for the 2015 UKLA Book Awards 7-11 years - Longlisted for the CILIP Carnegie Medal 2015 Heart-warming as well as heart-breaking, Us Minus Mum is the story of two brothers and their lovable mongrel finding laughter in the face of loss. Shortlisted for The Branford Boase Award 2015 - Shortlisted for the Waterstone's Best Fiction Award 2015 5-12 age category Growing up on the embattled Mawr Estate in South Wales, all Gemma sees are burglaries, muggings, sadness and boredom. With a dad in prison and a mum who has given up hope, she, like everyone around her, is holding on to memories of the times when happiness wasn't so hard to find. When her search for the scene of a perfect childhood day takes her up into the surrounding hills, Gemma is forced into a meeting with the legendary Cowgirl. Everyone at school knows she's a weirdo: six foot tall and angry, the only conversations she has are with the twelve cows on her dad's farm. But with her abrupt arrival in Gemma's life, everything starts to look different. And with her only friends in mortal danger of the abattoir, it turns out she and Gemma have a mission on their hands. Shortlisted for the 2015 UKLA Book Awards 12-16 years A gripping mystery-adventure set in the 1930s interwar period about a character desperately searching for his identity. Shortlisted for the 2015 UKLA Book Awards 12-16 years Amina’s family is forced toflee as refuges from an obsessive regime. Even in a harsh refugee camp, Amina and hersister Jenna’s situation is enhanced by the power of the imagination and storytelling. Though Looking at the Stars certainly doesn’t avoid any depictions of the harshness of life for people in conflict zones, this beautifully written book leaves with a feeling of hope. Shortlisted for The Branford Boase Award 2015 - Longlisted for the 2015 CILIP Carnegie Medal - One of our Books of the Year 2014 Heartbreak is made bearable by humour in this gripping and touching story of sixteen year old Pearl, struggling to keep going after the death of her mother. Pearl’s mum dies after giving birth to The Rat as Pearl designates her tiny, newborn sister. How can Pearl ever forgive The Rat for all the grief she has caused? Locked into her own sadness and refusing to let anyone help her, Pearl knows that only her mum can help her. What would she say if she turned up and knew what Pearl was thinking? How Pearl grieves for – and with – her mother is a tragic tale beautifully told. A Piece of Passion from Ingrid Selberg, Publisher, Simon & Schuster Clare Furniss has that rare ability only the very best writers have: to provoke an authentic emotional response. Clare describes grief that cuts to the bone at the same time as making you smile wryly at life’s unpredictability...If you’re a daughter you can’t help but immediately want to pick up the phone to your mum after reading this… Teens love to read and in addition to our Lovereading expert opinion some of our Reader Review Panel were also lucky enough to read and review this title. One of our Books of the Year 2014 - May 2014 Debut of the Month A touching story shot through with warmth and humour this tells of one girl’s journey to find herself. Willow’s view of the world is unusual. She is a genius with a special skill at numbers and exceptional knowledge of medical conditions but without much skill of any kind in dealing with people. When Willow’s life is turned upside down, she suddenly has to learn how to find the people who can help her. Willow’s journey of self-discovery and the cast of interesting characters who help to is totally absorbing as, largely through instinct, Willow finds the ways she needs to relate to others. A Piece of Passion from Brenda Gardner, Publisher, Piccadilly Press We published Holly Goldberg Sloan's Just Call My Name for YA in 2012, and we all fell totally in love with her writing. She is evocative, tender, precise, humorous ­ her writing is lyrical and beautiful. 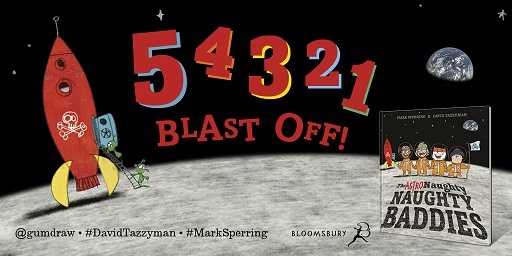 I heard early last year that Counting by 7s was a knockout book, and her US publisher was very excited about it. And they were right! Fourteenyear old Willow is a unique character, and all the characters she befriends and who become her 'family' are unforgettable. Tragedy has struck Willow's life, but the book is about hope and life. It is one of the most uplifting books you will have read. It certainly comes out at the top of my best books ever! If you like the sound of Counting by 7s you may also like to read R.J. Palacio's fantastic novel, Wonder. Shortlisted for the UKLA Book Awards 3-6 age category 2014. Authentic setting drawn from the author's own experience, this is a wonderfully fun introduction for small children to a completely different culture. Winner of Picture Book category Waterstone's Children's Prize 2014 Longlisted for the Kate Greenaway Medal 2014 - Highly Commended in the UKLA Book Awards 3-6 age category 2014. - Brave readers will love to dive into the wide open jaws of the hungry crocodile on the cover of this book! And courage is needed to continue when it becomes clear that the crocodile is furious because he has fallen right out of one book and right into another! Readers are challenged to peek inside and see what is bothering the crocodile…Can they do it without letting the cross croc escape? An entertaining book with lots to talk about. The UKLA Book Awards are held annually and are the only UK children’s book awards that are voted for by teachers. The Judges praised Open Very Carefully for its “potential to delight and scare you at the same time”. The first book in the Kingdom of Silk series. Griffin has a secret in his heart that nobody else knows - until he meets Layla., a princess with a daisy-chain crown. Once I had read the book, I was utterly smitten. I could not get hold of the rest of the series quickly enough PLAYING BY THE BOOK. Winner of the UKLA Book Awards 12-16 age category 2014. Micheal Williams' is a masterful storyteller who pulls you along the journey of a lifetime. Deo and Innocent's journey is a universal story of hope in the face of despair, and the search for a better life. Longlisted for the Carnegie Medal 2014 - May 2013 Debut of the Month A thrilling debut novel explores tribal behaviour and the dangerous consequences of it in an action packed story of two competing monkey tribes. A troop of aggressive Langur monkeys make a savage raid on the Rhesus monkeys killing them mercilessly. For one young Langur, the brutality is a step too far. Mico is appalled by the violence and steps in to help the surviving Rhesus. But crossing the tribal line is a dangerous act. What seemed like the right action to Mico sets him at odds with his own corrupt leadership and the secrets they are so keen to defend. His fight for survival is tense and compelling. Winner of the Carnegie Medal 2014. | This is a hard-hitting novel which has divided opinion since winning the 2014 Carnegie Medal. Whilst having great literary merit, in Lovereading's view it is unsuitable for younger teenagers. The Bunker Diary is award-winning, young adult writer Kevin Brooks' pulse-pounding exploration of what happens when your worst nightmare comes true - and how will you survive? Longlisted for the Carnegie Medal 2014 Award winning Geraldine McCaughrean spins a brilliantly fanciful yarn in the magical setting of a disused theatre. Every night amazing things happen in the theatre but no one except the resident ghosts can see them. But then Gracie comes along; Gracie can see the ghosts. At first, it is a bit of a shock for Mikey the Mod, Jim and Joanie the twins, the wonderful Miss Melluish and the rest but soon they understand that Gracie maybe just who they need to save the theatre. Geraldine McCaughrean has a rare ability to bring to life a huge and varied cast of fascinating and unusual characters in a story that brings ghosts vividly to life. A personal message from the author to Lovereading4kids and our readers: In 2011 I got a phone call from The Theatre Royal, Margate - not just a glorious theatre but a great force for good in its locality. They suggested a book that would show towns like Margate as places with a cheerful future as well as a powerful past. In short they asked me to attempt a sort of literary Tracey Emin! This needed to be a family book, enjoyable not just to children but to anyone who fondly recalls seaside holidays when the sky was always sunny, the candyfloss sticky and there were donkeys on the beach... oh and to anyone who likes theatre or a good read. I hope to goodness I've succeeded, because it matters. A proportion of the proceeds from this book will go to The Theatre Royal, Margate - Margate's greatest asset - except of course, for its inhabitants." ---------------------------------------------------------------- The Positively Last Performance is an ideal book for a Reading Group, perfect for years 5,6,7 and 8. Download a Reader's Guide, from the right hand column, with notes to help you explore the novel, extra information about the book and ideas for talking points. Lovereading4kids is pleased to feature the UKLA Book Awards this year. Run by the UK Literacy Association, what makes these awards so unique is that they are the only awards judged entirely by active classroom teachers, who are able to share the books with their classes and genuinely discover what works with young readers. “A great opportunity to read an exciting range of new literature and then to share ideas with other teachers” Kaye Wilson, teacher judge. This year, seventy-seven teachers have been selected from schools in Nottingham, Derbyshire, Leicester, Coventry and Birmingham to read the longlisted books, discuss them with their group leaders, and share them with pupils. Then they had the difficult task of choosing their shortlist of six books in each category! Which you can see here along with the 2014 shortlisted books.